Louis Johnson Gulick was born in New Jersey on 1 January 1850. He had a long career in the United States Marine Corps and died on 20 April 1896. 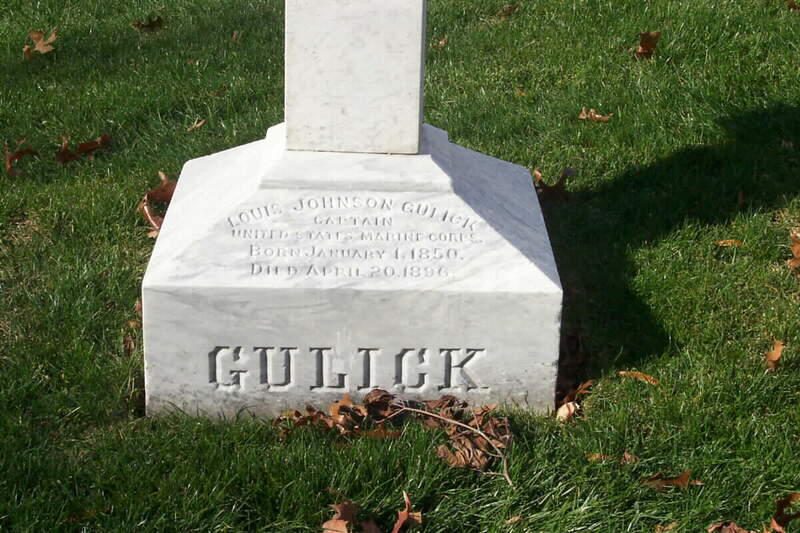 He is buried with his son, Louis Mason Gulick, Colonel, United States Marine Corps, in Section 3 of Arlington National Cemetery. During the 1880 United States Census, Captain Gulick was residing in Boston, Massachusetts, with his wife, Ida Gullick, age 27, and born in Virginia.